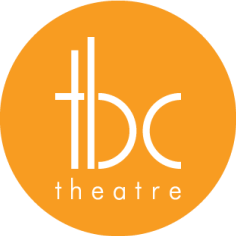 TBC Theatre presents ‘Project: Hysteria’; the umbrella title for the epic, ambitious and inspiring presentation of a selection of Tennessee Williams one-act plays, including ‘The Pretty Trap’ and ‘Interior: Panic’. Considered precursors to ‘The Glass Menagerie’ and ‘A Streetcar Named Desire’, Tennessee’s one-acts not only give entrancing and curious insight into the seeds of his greatest works, but they offer a beautifully fragmented glimpse into the mind of the man, and artist, that created them. November 10th – 22nd, 2015. Discover the origin plays to Tennessee's greatest works. **** 4 STARS - "Beautifully staged, beautifully designed and beautifully performed; a strikingly contemporary imagining of a modernist classic… The sexuality, tension, and denial smoldering under the surface of Williams’ words are all brought to centre stage. Powerful and moving." - Arts Hub. “Hot, heavy and dramatic” - Weekend Notes. “Compelling… captivating performances all round… This one isn't to be missed” - Plus One. "Fierce…Tremendous… Wonderfully performed and directed" - Theatrepeople. ​"Powerful… Excellent Performances… Mr Smith is clearly a talented Director to watch" - Stage Whispers. PROJECT: HYSTERIA had all the stagecraft elements required for an Outcome 3 prescribed performance for VCE Theatre Studies’ students to analyse and evaluate. Outstanding set and lighting; props, costume and sound. Actors were terrific in their roles – with plenty for student discussion. As we entered the space, it was if we were transported into the world of Tennessee Williams. The actors drew us in to the hysteria, working very physically with William’s lyrical text. Incredible performances from every member of the ensemble, every prop and set piece meticulously gathered and placed with care. PROJECT: HYSTERIA was a delight for the senses and a wonderful insight into the writings of this great man… My students had so much to discuss after the performance and in class the next day. Their analysis of the acting and other stagecraft was excellent as they all felt they could understand the production. It was a great introduction to real theatre for these students who have been brought up on musicals. This was the most incredible night of theatre. It was my first real play and I couldn’t believe how detailed the set and the props were. The actors were brilliant and I felt as if I was mesmerised, forgetting everything. There were so many aspects of this production that were unexpected. It made it so interesting to watch and great as the subject of our analysis at school.